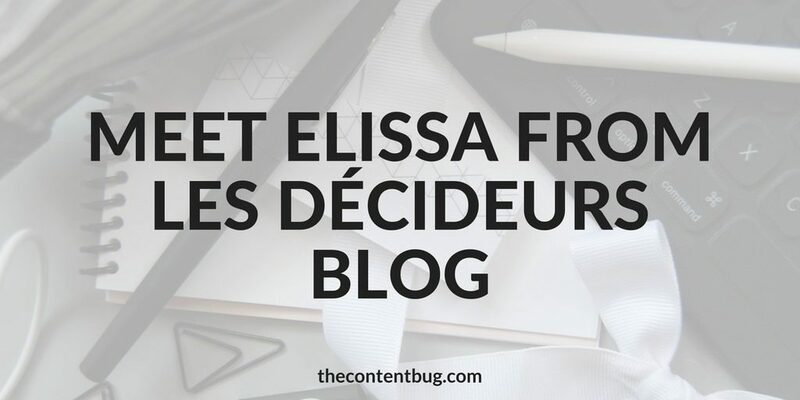 My name is Elissa May Murphy and I run Les Décideurs Blog! This new, multifaceted arts collective revolves around professional/freelance stories, artistic discoveries, tips and tricks of the trade to living the freelance lifestyle. 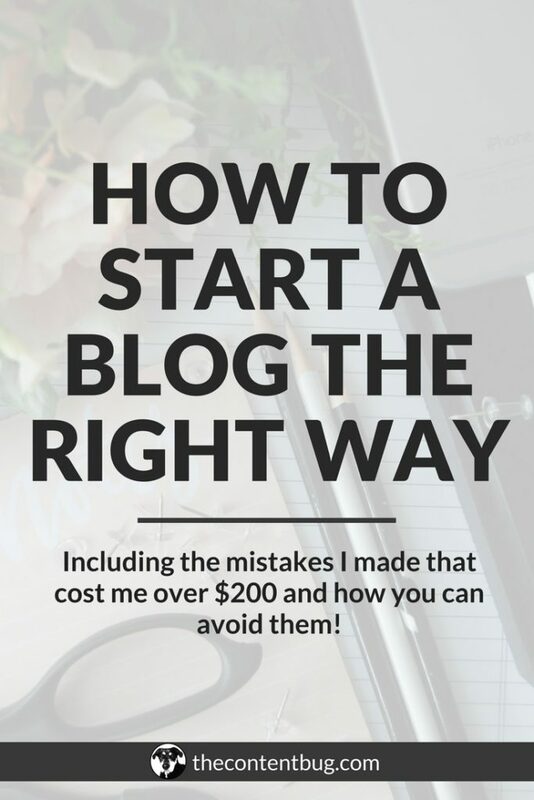 Why did you decide to start your blog or business? I was fortunate enough to attend university for music business and flute performance at the Crane School of Music! 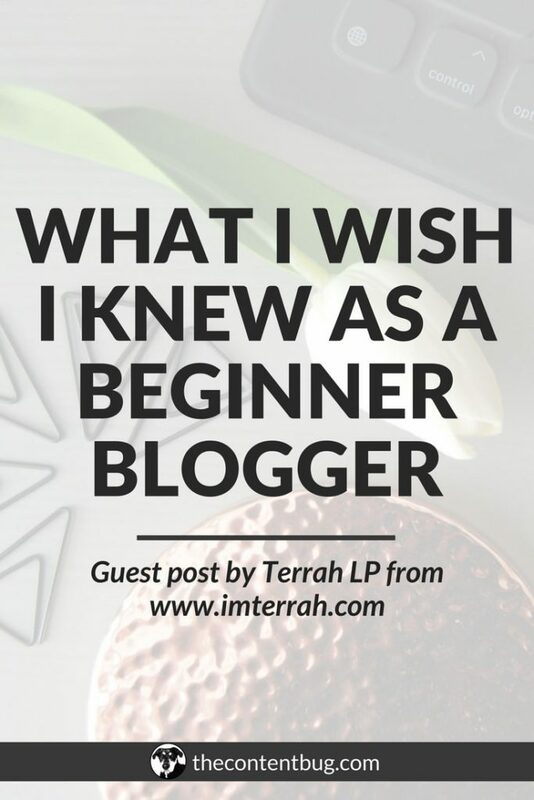 Not only had I double-majored, but I grew to understand that if I wanted to do exactly what I wished to pursue, I would have to create those opportunities myself. So I dove right into independent projects pertaining to music composition, woodwind performance, conducting, video production, scoring for motion picture, and content writing for a female collective called TYCI, founded by Lauren Mayberry of the band CHVRCHES! What was your biggest struggle getting started? Finding balance. It’s tough when you’re a full-fledged freelancer in a smaller-sized city to begin with. On top of that, I had a previous autoimmune disease that flared up full force four months before launching this collective. But I have come to terms that 1) life is short, and 2) while you’re here, do what makes you happy. Freelancing in multiple arts facets makes me happy. Creating art and sharing the works of others makes me happier. What is the main mission or purpose behind your blog or business? Our mission is to create an outlet for artists of all sorts to promote the incredible work they’re doing! If someone is having a bit of a creator’s block, we hope that they can turn to our collective for inspiration to get back into creating, be it a screenwriting project, building their portfolio, music performance, dance, etc. What do you believe to be the most rewarding part of your work? Though I am still very new to the world of blogging, it’s very nice to be able to collaborate with others: to hear their stories and share them with both the Rochester community and with artists near and far. Though our following is small, it is mighty! Continuously learning from analytics that people have viewed the blog and its content from places I have only dreamed of visiting – that feeling is indescribable. What obstacles have been thrown your way while trying to grow your business? The freelance lifestyle is a chaotic lifestyle. A project here and a project there is great in the sense that you are able to continue getting your name out there in different fields and build your network. There are months where there is literally nothing you can do but blog and hope your audience is compelled to read your material that day. There are months where your days begin at 6am and end around 2am the next day. In January alone, I have had a combination of eighteen continuous freelance projects between teaching, composing, arranging, and blogging! How did you overcome that obstacle? Lots of coffee. Lots of organizing. I swear, if it weren’t for my Erin Condren desk planner, I would be an absolute wreck. What was the best piece of advice you’ve received along the way? Keep going, keep going, keep going. What is the biggest accomplishment you’ve achieved through your work to date? Is there 1 major lesson that you’ve learned from business ownership that stands out to you? Creating something as big as this – and nearly by yourself – is hard work. And it’s not going to happen overnight, that’s for sure! I originally began plotting this passion project back at the end of 2016, but it fell through due to the decline of my health. Now that I have been able to get back into the swing of things, it has been at a much slower pace than I originally anticipated, but it’s naturally because I’m constantly on the run! As a freelancer, that’s just the name of the game. Appreciating the freedom to do what you love on a regular basis as you continue to discover how incredible life is when there’s some form of creativity instilled. I strive to succeed each and every day by either creating, appreciating someone else’s creativity, or promoting artists’ creative initiatives. Spending time with family, drinking tea, reading books, traveling, and (of course) freelancing! What advice would you give to someone who wants to follow their passion? Although I’m a firm believer in that everything happens for a reason, remember that you have the power to turn your path around if you are unsettled or unhappy. If you are dreaming of a different path to take, chances are that is what you want and should be striving for. What book would you recommend for us to read? Between the Dreaming & The Coming True by Robert Benson was an eye-opener. 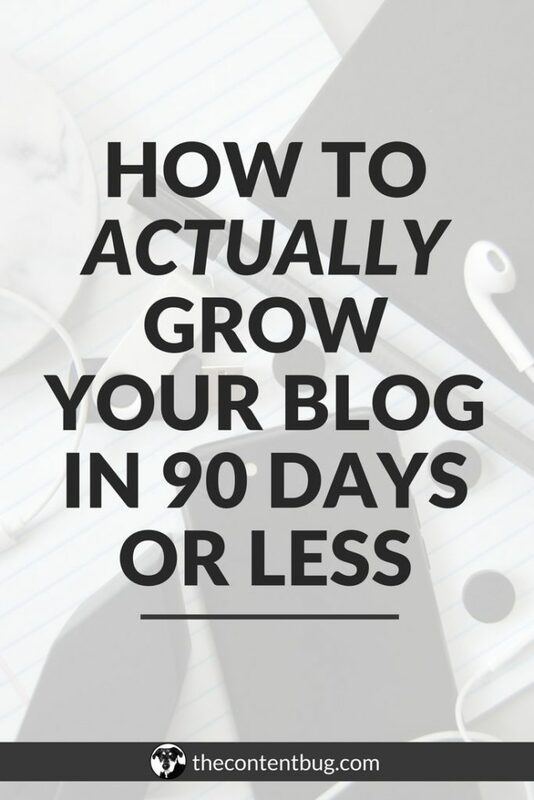 I’m still sporting The Freelancer’s Bible by Sara Horowitz, and The Ultimate Blogging Plan by Career Girl Daily. YouTube: Nothing just yet, but be on the lookout for videos very soon! We’ll also be publishing guest content to a Vimeo down the line. Elissa May Murphy is a freelance musician, educator, and writer. 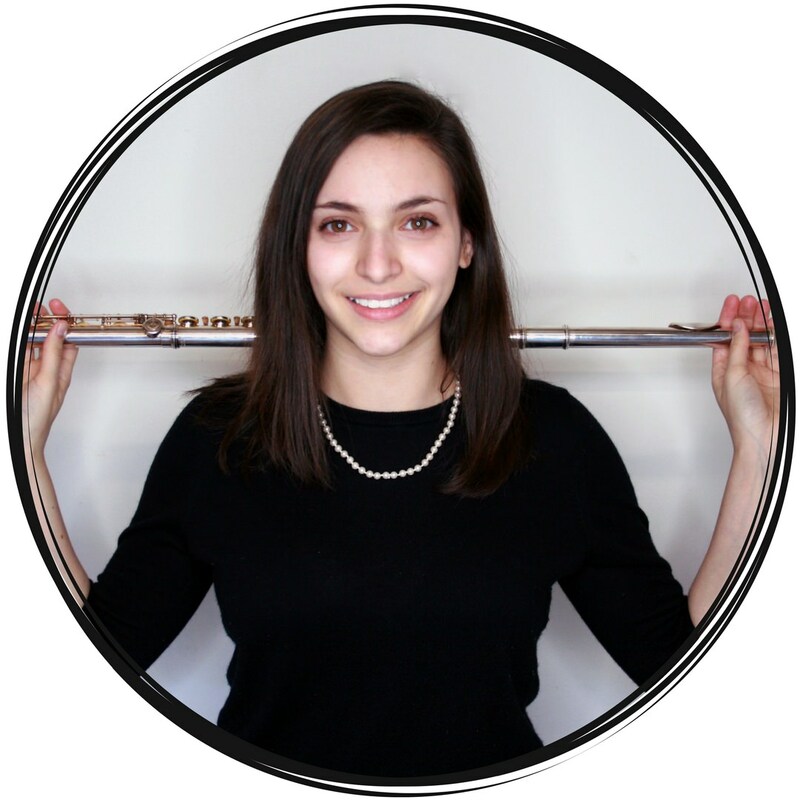 She performs regularly as a flutist, clarinetist and saxophonist, and teaches privately to students of all ages and experiences. 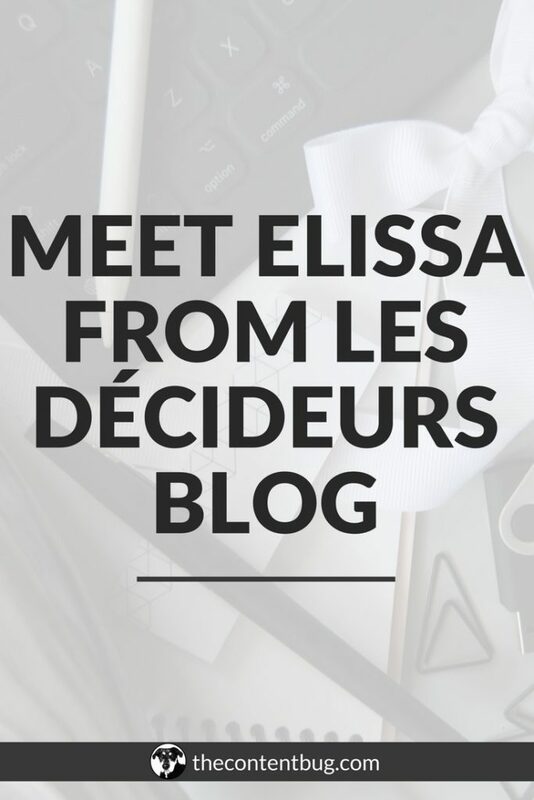 Alongside her teaching and performance career, Elissa has created a multifaceted arts & lifestyle collective, Les Décideurs. She resides in Rochester, NY with her beau Alex Durr (drummer of The Stedwells), and their identical cats Calvin & Jet.